ALL THE COMBATANTS in World War II feared there were foreign agents within their ranks, so they sponsored and supported special intelligence organizations that rooted out enemy saboteurs, provocateurs, and intelligence gatherers. The Germans and Japanese believed they were better at this activity than they actually were. Others, such as the British, were skilled at rooting out Axis agents, but smart enough to pretend they weren’t. Unfortunately for the United States, its government and operatives couldn’t compete with Old World intelligence organizations. Americans were very slow to pick up the required skills. The reasons for this were not many, but they proved critical. Prior to the rise of the Axis Powers, the US military and diplomatic services had no provisions for coordinated intelligence units. Throughout the early 20th century, every presidential administration counted on the Atlantic and Pacific oceans to keep foreign troublemakers at arm’s length. Until the late 1930s, Americans expected law enforcement outfits to handle hostile aliens. Even as Fascist and Nazi support organizations openly recruited members and held rallies around the country, citizens looked to the nation’s top cop, FBI Director J. Edgar Hoover, to handle any bad actors. These were naive miscalculations. Hoover, the first and longest-serving director of the Federal Bureau of Investigation, enjoyed public prestige following his Depression-era campaign against interstate crime superstars such as John Dillinger, Baby Face Nelson, and Machine Gun Kelly. A Washington, DC, native and a Georgetown University graduate, he was a complete creation of the capital city and its government culture and spent his career gathering power. He joined the Justice Department as a young man and was a veteran of the Red Scare and the department’s Palmer Raids, which gathered up political dissidents and suspicious immigrants during the immediate post-WWI period. He had a knack for harassing political radicals and nonconformists, harbored a strong xenophobic streak, and disdained advice. Nevertheless, in the late 30s, with no other obvious candidate, the Roosevelt administration requested Hoover’s services for shadowing Nazi and Fascist activists in the United States. Hoover ran with it. He established specialized departments within his bureau to assess foreign threats on American soil and positioned himself as the nation’s official spy-catcher. In the decades since his 1972 death, historians and authors have established that his ego was immense and his hunger for control insatiable. As a consequence, they say, he slandered scores of people and damaged countless reputations. But were his personality defects so large that they hindered the American war effort in the 1940s? Until recently, Hoover’s role in World War II hadn’t undergone extensive public scrutiny, and the negative side of his performance had not been completely substantiated. But Raymond Batvinis’ book Hoover’s Secret War against Axis Spies takes steps in that direction. It exposes Hoover’s counterintelligence missteps and his repeated refusals to cooperate with and learn from experienced Allied espionage experts. It also provides a long list of unsung FBI heroes who fought the Axis threat from Canada to the tip of Argentina. Agent Garbo, by Stephan Tally, and Double Cross, by Ben Macintyre, two books from 2012 reviewed in this magazine, laid out clearly the role of MI5 (Britain’s counterespionage agency) in upending the Nazis’ Abwehr spy network, breaking the German military’s infamous Enigma code, and concealing the landing targets of the 1944 D-Day invasion of France. 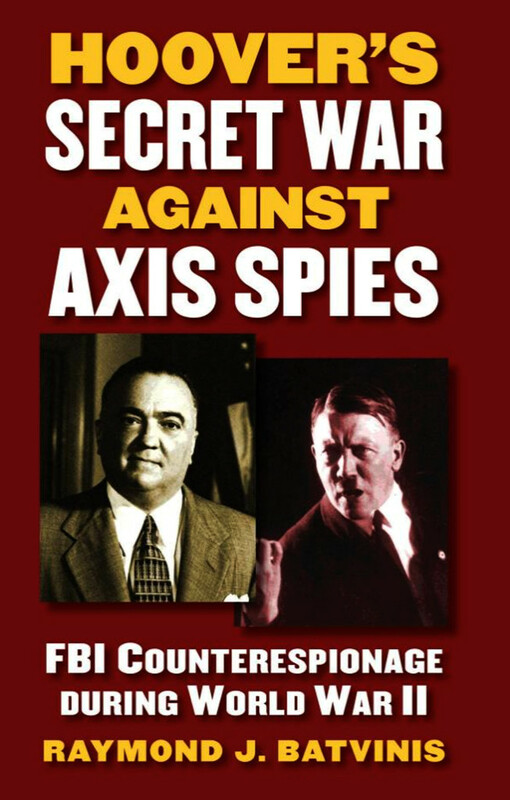 These books, along with information published during the last 15 years, also point out problems Allied intelligence agencies had in getting the full cooperation of the FBI and Hoover. 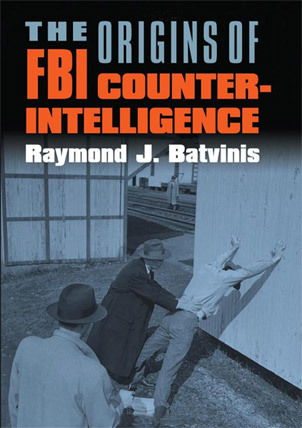 Batvinis elaborates on these problems in the first several chapters, then goes on to tell the stories of his agents labors—stories that were suppressed for decades because of security concerns and, perhaps, the demands of Hoover s ego. At the conclusion, it’s clear Hoover believed that his best interests were America’s best interests, that his successes were America’s successes. 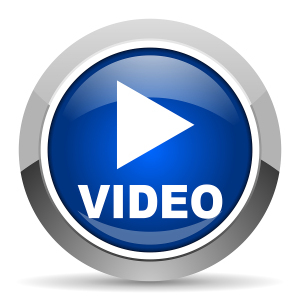 Any failures or embarrassments were someone else’s. For seasoned fans of espionage tales, there may not be many new great reveals in Hoover’s Secret War, but there are a few. How British agents raided, read, and resealed shiploads of foreign mail passing through Bermuda, Jamaica, and Trinidad, sometimes in mere hours, is astounding. The Nazi spy nests scattered all over Mexico and their radio networks across North America now appear larger and more sophisticated than many-readers may have believed. The fact that Hoover knew that the Soviet intelligence network in the United States was already well established long before the end of World War II, and that it was not thoroughly infiltrated by the FBI, is illuminating.